(Newser) – Slimming down didn't lead to longevity for Manuel Uribe: The Mexican, who topped the scales at 1,230 pounds in 2006 when he was the world's heaviest man, has died at the age of 48, the AP reports. 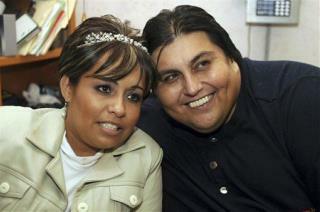 He had slimmed down to around 867 pounds in recent years but remained bedridden at his mother's home in Monterrey. Officials say he was taken to the hospital—by crane—earlier this month because of an abnormal heartbeat. There are alot of obese Mexicans out there to many refried beans.